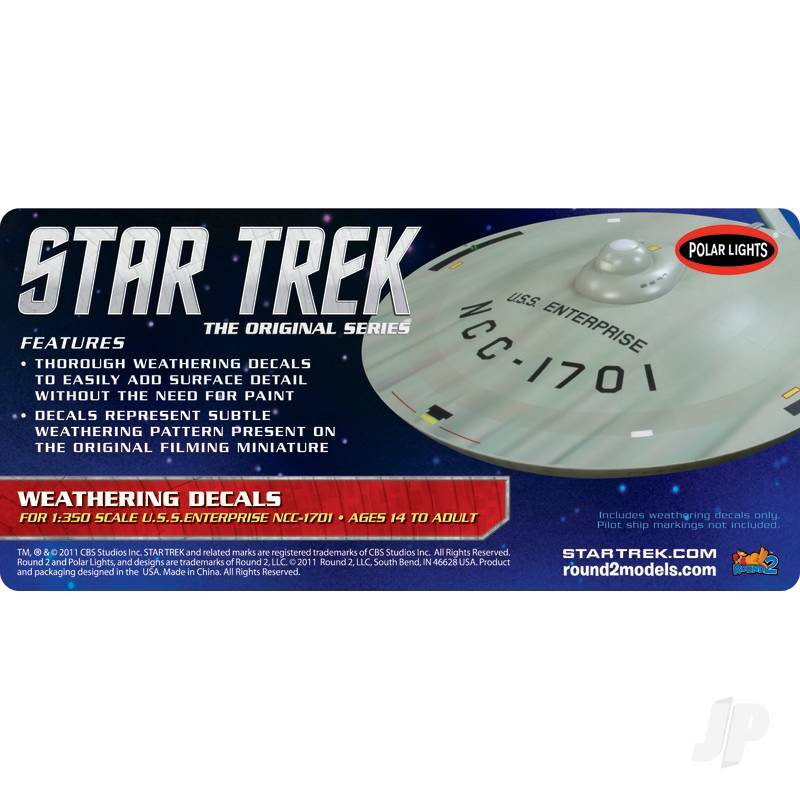 Weathering decals make decorating the 1:350 Original Series U.S.S. Enterprise (POL880) as easy as possible. The kit can be built right out of the box and once these decals are applied, it wil look just like the filming model used for the classic Star Trek television show.